I've been away for a while playing with my sister and brother-in-law on their recent visit...while I was having fun, the rhubarb in the garden ripened. Not being a gardener, it's a rarity for me to be able to walk out into the garden, pick something and use it in a recipe right away. What a great feeling though. Place all the ingredients into a saucepan and simmer until soft. Rub all the ingredients together to resemble fine breadcrumbs. Sift the flour, sugar and baking powder into a bowl. 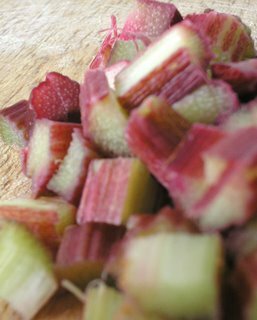 Whisk the egg, milk and butter together and add to the dry ingredients with half of the rhubarb compote. Line a mini muffin tray with cases – this will make approximately 30 mini-muffins or 12 regular ones. Top with a little of the crumble. 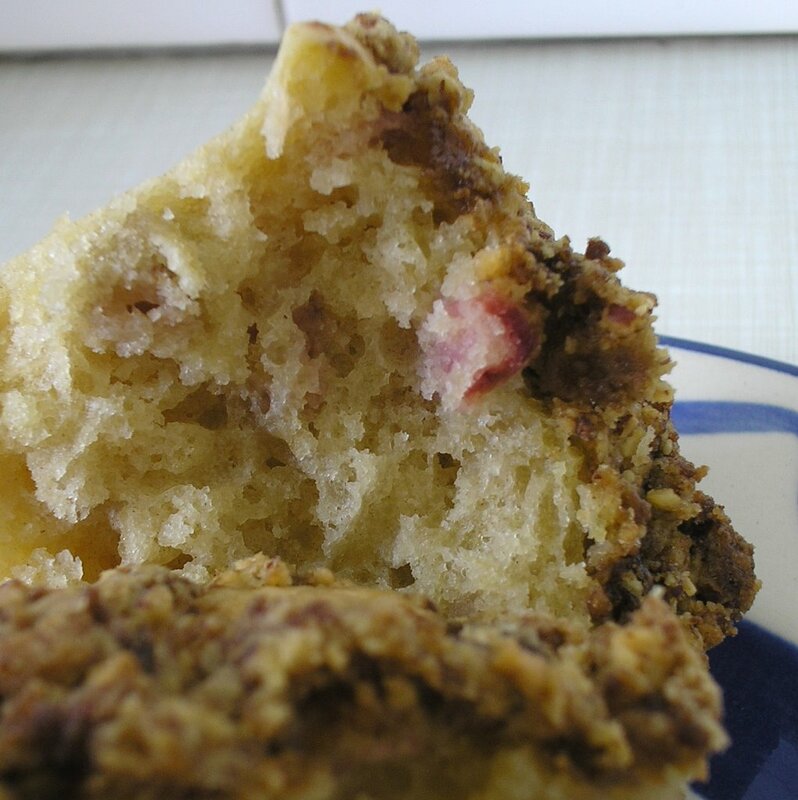 Bake for 25 minutes, cool on a tray and serve with the remaining rhubarb compote. These muffins are sweet, but the rhubarb had a tang - or maybe it's the orange zest! 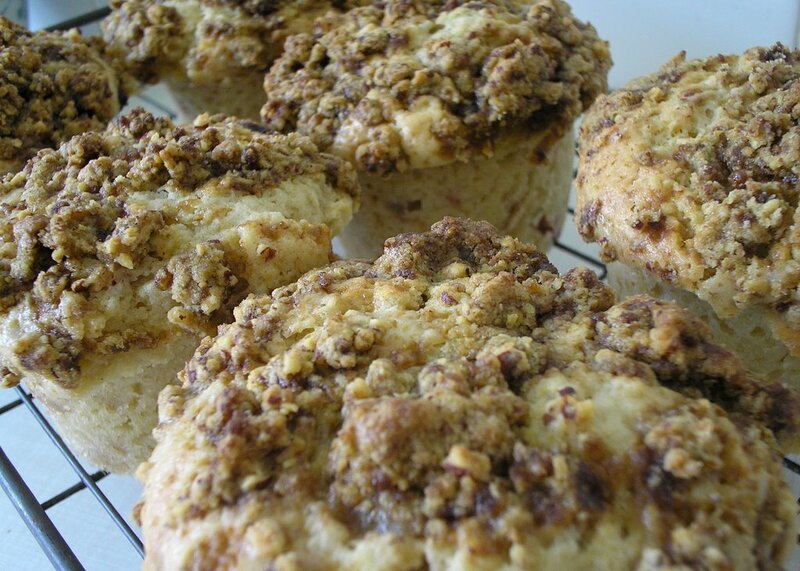 Either way, they're delicious...go out and get your hands on some rhubarb and make these! Your muffins have such good looking tops, like the crumbly kind in bakeries. Got a secret to it? Oh my gosh! Those look fantastic. Will have to try them!